Glenn Maxwell and Travis Head put together a crucial century stand to help Australia beat Zimbabwe in Harare in the T20 Tri-Series. Maxwell top-scored with 56 as Justin Langer's side won by five wickets with a ball to spare. Solomon Mire's 63 had boosted the home side to 151-9 from their 20 overs. The outcome was in doubt right until the end, when Marcus Stoinis hit a boundary off the penultimate ball. Maxwell reached his first half century in a T20I since February, putting on 103 for the third wicket with Head. He said afterwards he'd been helped by putting in extra work with Langer. "I've been doing a lot of work with JL recently, making sure I'm watching the ball as hard as I can," said Maxwell. "I've been doing a lot of work with that in the nets, making sure I'm really concentrating - that's all I'm thinking about at the moment." Zimbabwe removed openers Aaron Finch and Alex Carey in the first five overs, with Australia taking only 35 runs from the Powerplay. Maxwell got the scoring rate up, hitting sixes off Malcolm Waller, Wellington Masakadza and debutant Brandon Mavuta to bring up a 34-ball fifty in the 17th over. He and Head, who made 48 from 42 balls, steadied the Australian chase. 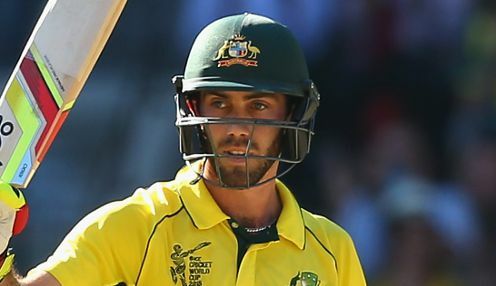 "It's good batting with a guy like Heady, he takes a lot of pressure off you," said Maxwell. "With the way he plays, he hits it in different areas and puts some pressure on the bowler. We've done it a few times, not just in T20 cricket but in one-day cricket as well." Maxwell was out when he drove fast bowler Blessing Muzarabani into the hands of Elton Chigumbura at extra cover, and Zimbabwe took three wickets in three overs after removing him. Mire had earlier made 63 off 52 balls to help his team recover from the dismissal of Cephas Zhuwao from the first ball of the game. He shared a 64-run stand for the fourth wicket with PJ Moor. Australia are 1.72 to win the Tri-Series final against Pakistan, who are 2.10.